Great for clients as well as employees. Choose us for your Holiday Gifts! 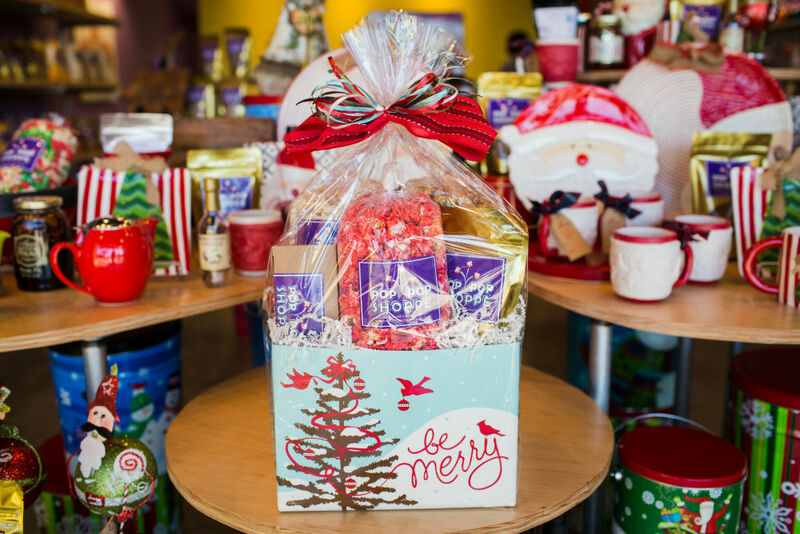 But don't forget – Pop Pop Shoppe has gifts for ALL SEASONS ! At the Pop Pop Shoppe we help an enormous number of people keep their office mates and employees snacking. And now we've made it even easier with Automatic Monthly Popcorn Deliveries. Sign up at www.poppopshoppe.cratejoy.com or call! 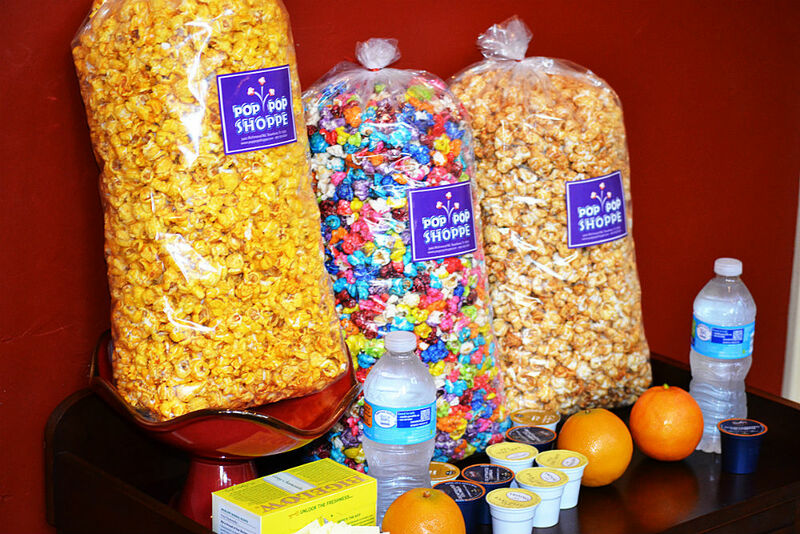 Pop Pop Shoppe has dozens of flavors to choose from to make your event a success. 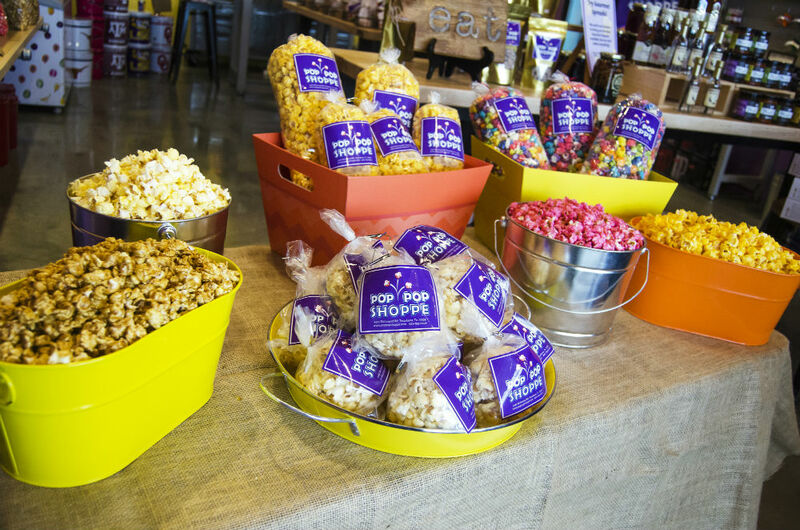 Pop Pop shoppe Popcorn Bars are great at events, meetings, and parties of all types.